The FAITH Dance Project and students of a local Long Island dance school prepared themselves for a fundraiser performance on October 16th at 7:30PM, at the Bellmore Movie Theater on Pettit Avenue. This was the project’s third annual performance, raising money for the NYS American Lung Association, for asthma research. The project's total contribution reached over $4000 this year. 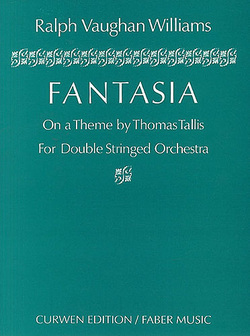 The cast has had the privilege to learn and set the choreography of Frank Ohman’s Fantasia, with music by Ralph Vaughn Williams. Mr. Ohman, Artistic Director of the New York Dance Theater and Ohman School, and direct protégé of George Balanchine, choreographed ‘Fantasia’ nearly eight years ago for his company. Lead roles were danced by Faith Floridia, for whom the FAITH Project is dedicated, Erin Drennan, FAITH Project artistic director, Alexander Koch, Danielle Lichtenburger, Danielle Grimm and Lauren Loschiavo. The students, though younger dancers, now endeavor to recreate the piece. The FAITH Project will present a new work, The Lark, by Ms. Drennan also to music by Vaughn Williams. After a brief intermission, the student dancers will showcase their own choreography, presenting a collaborative piece entitled Sparkles. The FAITH Dance Project has performed at several venues on Long Island and continues to invite dancers and patrons to inquire about information on the ongoing projects. For information on classes, auditions, our upcoming performance, or to book the FAITH Dance Project for a fundraiser, send an email to Integralmovement@yahoo.com, or contact Ms. Drennan directly at edrenn2@yahoo.com.